Slieve Binnian East Top is the 238th highest place in Ireland. 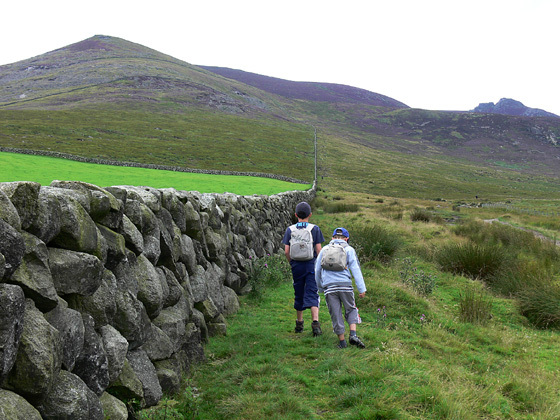 Picture from group : Binnian E Top (left) at start of climb along wall. N Tor can be seen top right. Picture: Binnian E Top (left) at start of climb along wall. N Tor can be seen top right.